What a perfect list you put together! I have seen those gold chevron glasses all over, and thinking of possibly doing a DIY! They are too cute! Love the pattern on those glasses! Fabulous post, Jenn! 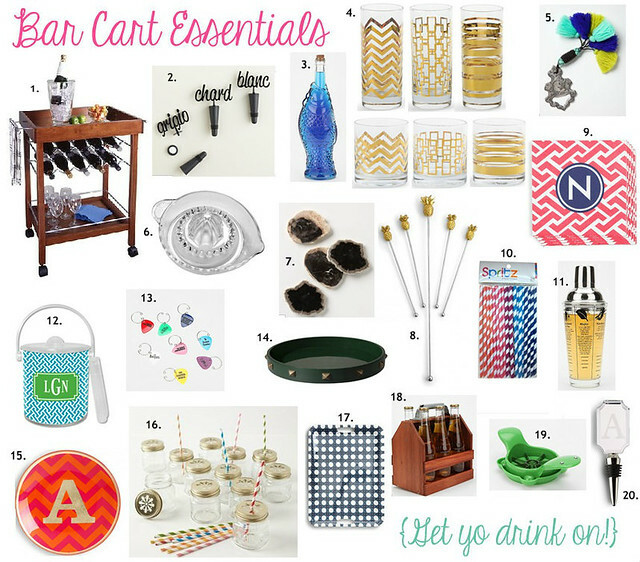 I need to round up and focus on my bar cart area soon... so much to do in a new house, but I will get it done! Thanks for the inspiration!